Established in December 1992, Andhjan Kalyan Trust is a non-profit and non-governmental organization working for the all round development and welfare of the disabled to provide rehabilitative services to the disabled to make them socially and financially self-reliant. 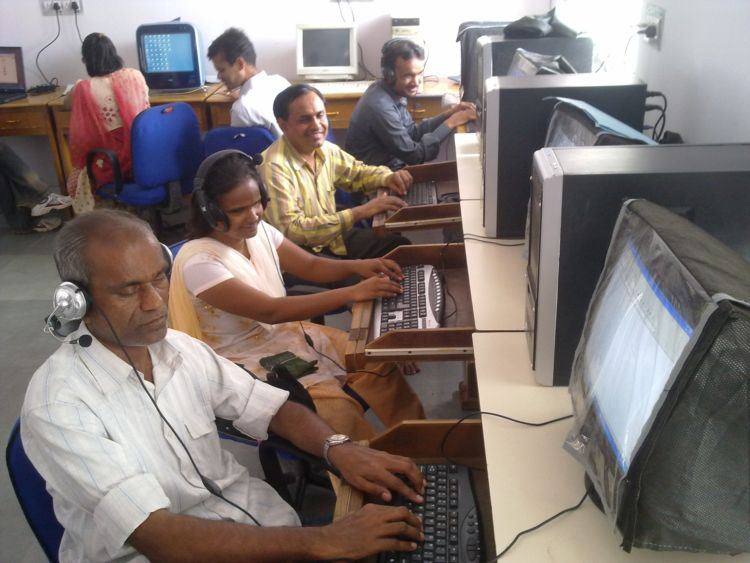 It was a joint effort among visually challenged persons of Saurashtra region in Gujarat State of India, It functions Nationally and Internationally when and where any necessity arises for the cause of the disabled. Dharmistha lost her vision at age 14, while studying in the 9th standard. She thought that she could not continue studying and dropped out of school. She was completely disheartened, grew isolated, and was unwilling to participate in any activity. .
After five years Dharmistha and her parents came to our institute where they saw blind students studying with special equipments. Dharmistha became inspired and joined. She learned to read and write Braille, used the library extensively, and participated in many extracurricular activities. We also gave her home management training to make her self-sufficient around the house. .
Dharmistha’s activities at the Andhjan Kalyan institute prepared her well for a normal life. She passed the 12th standard with first class marks and can now take of herself. She is married to a music teacher and enjoys full inclusion in society. Rahim joined our Residential Care Centre with Cerebral Palsy and Mental Retardation. His recognition and language skills were quite poor. He could not even communicate his basic needs. His gross motor skills were also quite limited. He resisted changes. .
AKT used a hands-on teaching and training approach to provide Rahim with basic skills, and broke down all instruction into simple procedures. AKT found that Rahim responded very well to these methods and was able to understand and follow quite well. He learned very quickly and was also eager to advance. .
Rahim has improved tremendously in just one year and has quickly picked up several concepts. His cognition skills have improved and his now able to read. He can now take a bath and use the toilet without help, and indicates his needs with his hands. He has grown into a boy who has his own views.